Just as ancient tales are easily bungled by funky translations (like Charles Perrault’s original story Cinderella, with confusion over a slipper of glass [verre], squirrel fur [vair] or even iron [fer]…a hot mess that Cinderella was), so too do recipes often have translation mix ups. 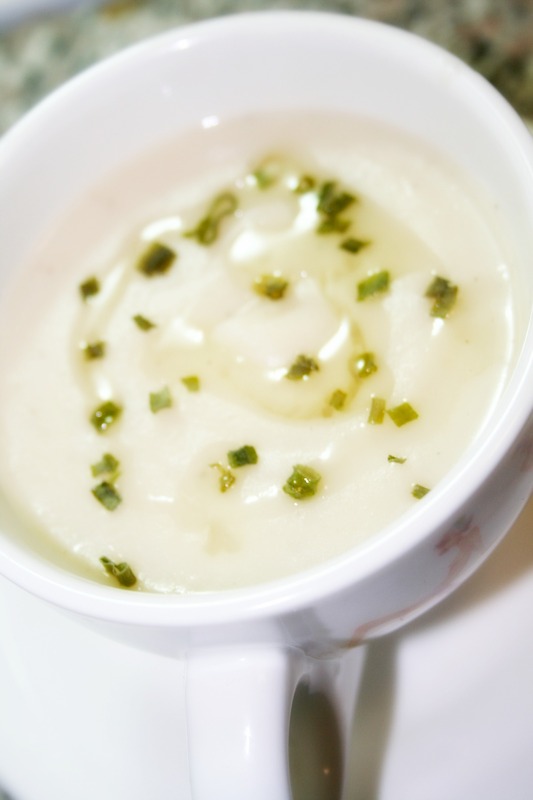 Although Italian Wedding Soup, a popular dish in this country, hints at origins surrounding Tuscan weddings, the actual name of the soup is minestra mariata or “married soup” – a reference to the melange of greens, broth, meat and cheese. An apropos name, given that all of the flavors in this soup blend together into something akin to a warm hug. I’m all about that marriage, if I do say so myself. Traditional versions of the soup involve a slow simmering stock that can include soup bones (prosciutto to be super authentic) and a variety of greens and broccoli. I love this soup with pastina, or little pasta pearls that puff up in the broth, but this version, as inspired by the cracked-out craziness of the Canadian show “Bitchin’ Kitchen” uses cheese tortellini. If you don’t have tortellini, you can swap it out for ditalini (short pasta tubes) or any mini pasta you’d like. You call the shots – this is your wedding and I don’t want you getting all bridezilla on me. In a food processor, grind up the hoagie roll, parsley leaves and garlic. Toss into a standing mixer or mixing bowl and blend with the beef, pork, egg, parmasean, salt, pepper and oregano. Roll into very small meatballs, about 1/2 of a tablespoon of filling at a time. Set aside. In a pot, bring the chicken broth to a boil. Add the meatballs and let simmer away in the soup for at least 20 minutes. Grab another pot, fill with water and bring to a boil. Salt the water and chuck in the cheese tortellini or ditalini pasta, cooking according to the package directions. Drain. 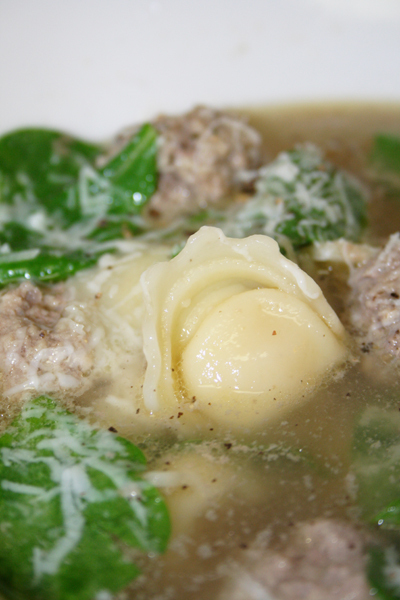 To assemble the bowl of soup, add a handful of baby spinach and 1/2 c. of pasta to a large soup bowl. Ladel over the broth and meatballs, top with some cracked pepper and parmasean cheese. I grew up Catholic, replete with plaid jumpers and JMJ (Jesus-Mary-Joseph) initialed on the tops of all test papers, and yet I’m unabashedly EEO in the kitchen. In the truest proof of this, I love love love to make matzoh ball soup. It, for me, is a like a textural wonderland – fluffy matzoh balls swimming in pools of liquid gold broth studded with coins of carrot and celery and shreds of tender chicken. I wear my shikse badge with pride, but this, my friends, is a champion soup that should know no religious leanings in any direction. Matzoh ball soup for all! This old recipe, by way of Vo’s friend from Brooklyn, will make you floaters (not sinkers) assuming that you follow a few key rules. Before you make the dough, make sure that your eggs are at room temperature. Cold eggs get you a thumbs down from Vo. A quick trick to get the eggs warm quicker is to put them in a bowl of hot water for 5 minutes or so. Also, I use butter for the fat in the matzoh balls, but if you have schmaltz (rendered chicken fat) and want to be super traditional, definitely use it. Sometimes I’ll use some of the chicken fat skimmed from the soup to make the matzoh balls. It’s goodness – trust me. If you make your own chicken stock for this recipe, when you let the stock chill, the chicken fat will solidify on top of the stock in a sheet. Simply scrape this up with a spoon and either use it in your matzoh balls or save it for another use (makes a great rub for roast chicken). Lastly, this is not an exact recipe – if your eggs are not so big, sometimes you’ll need to add an extra egg. When you mix your dough, if it’s rather thick and dry, give it another egg and a scant few tablespoons of extra broth (or water). It’s the egg that’s gonna fluff things up for you. I serve this soup with tons of dill and occasionally, for a splurge, some blubbery egg noodles as well. If I want to do this REALLY well, I make some of the easiest homemade noodles of all time – it’s like matzoh ball soup heaven. Also, because I’m fussy at times, I shave my carrots and celery with a mandolin. It looks gorgeous and imparts even more savory veggie flavor to the stock. Not to mention, it takes less time for the veggies to cook up. Try it sometime. L’chaim! Place chicken (or chicken pieces) into your pot. Cut your carrots and celery into 2 in. pieces and toss into the pot. Add your onion, bay leaf, 1 tbs of salt and a teaspoon of pepper. Fill pot with 12 cups of water and set to boil. Boil on high until the chicken starts to separate from the bone and the veggies become soft. Strain broth and put back into the pot. 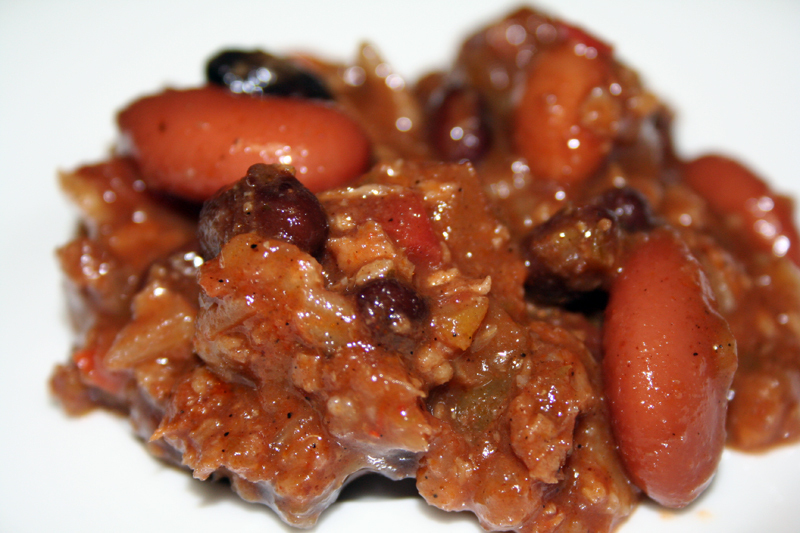 Set aside chicken and vegetables until they are cool enough to handle. Separate the chicken, shred and set aside. Add the leftover vegetables, chicken skin and chicken bones to the pot and add water to the pot to make around 12 cups of soup (ie. if the water came up to 3/4 of the height of the pot in the first step, add enough water so that the soup comes up to the same level in the pot). Boil until the stock reduces by a quarter. Strain stock and taste for salt and pepper. Throw out the veggies, bones and bay leaf. At this point, you can cool the stock and chill overnight, or you can continue to cook the soup. To make your matzoh balls, beat your eggs in a medium-sized bowl. When your butter has cooled a bit (but still melted), beat into the eggs. Add the chicken stock (I usually just ladle some out from my pot of soup and chill quickly in the fridge until it’s room temp), salt, pepper and dill. Stir in your matzoh meal, adding more egg or broth if needed to make a sticky dough. It should be a little gloopy, but not too wet. Refrigerate for one hour. Bring a large pot of water to a boil. Wet hands and divide dough into six portions. With wet hands, roll portions into balls and drop them into the boiling water. Turn the heat down to medium and cover the pot of matzoh balls. Cook for 25-30 minutes, or until matzoh balls are cooked through. Scoop out of the pot and set aside. 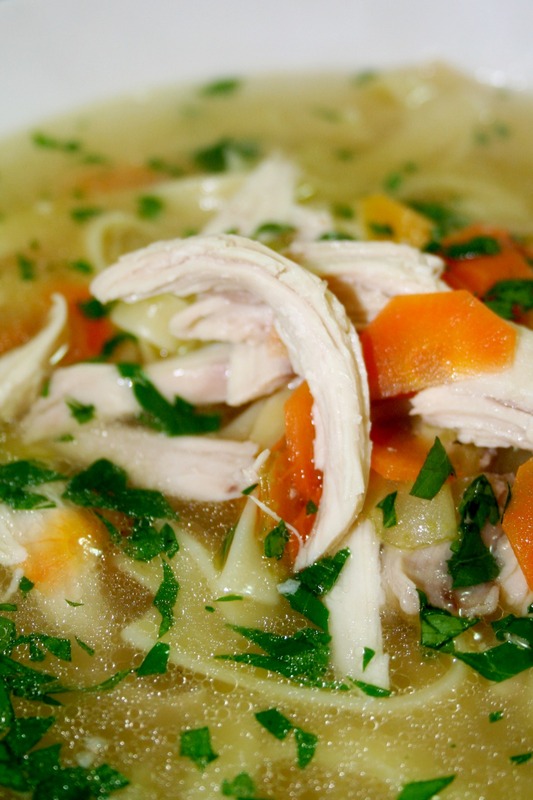 Bring strained stock to a boil and add the chicken, sliced celery and sliced carrots. Cook until your veggies are tender. While your veggies are cooking, bring another pot of water to a boil and cook your egg noodles. If they give you a time frame for cooking (ie. 7-9 minutes), cook them for the lesser amount of time. Drain and toss with a small amount of butter or olive oil. Just so you know, I cook and serve the noodles separately so that they don’t become waterlogged and soak up too much broth. To serve, put about 1/2 c. of noodles in a bowl. Ladle over the chicken, veggies and hot broth. Toss in 1 or two matzoh balls. Top with a smattering of chopped dill and a couple extra cracks of black pepper. Extra matzoh balls can be saved in the fridge in a tupperware container away from the broth. Reheat in the microwave for a minute or so and then pour hot soup over them. Leftover goodness. This stock can be prepared with a lot of additional ingredients, to include smashed cloves of garlic, parsley stems, and celery tops. Add these ingredients after you strain the broth the first time when you return the chicken skin and bones back to the pot. March 25, 2010 Angela G.
I (like most folks, I truly believe) have a palette full of anomalies. As much as I am a purist when it comes to food prepped lovingly with exquisite ingredients, I’ve been known to slum it up from time to time. I’ll succumb to the knee-weakening smell of Popeye’s chicken about once a year. Though I’m no Joey Chestnut, I can happily tuck into a plate of piping hot Coney dogs at Nathan’s. And I will pledge my unequivocal devotion to Campbell’s Chicken Noodle Soup in the red can. Artistic leanings aside (and the copy of Andy Warhol’s “Giant” in my living room), I adore slurping up ladlefuls of salty broth, questionable chicken chunks, and tender egg noodles. I’m an addict. The recipe below uses a whole chicken to make homemade stock, but I’ve done this in a pinch before with College Inn broth, a rotisserie chicken and carrots and celery. Just start with the second addition of veggies and shredded chicken and bring the broth up to a boil. If you are doing this fake-me-out version, make sure to include copious amounts of fresh parsley to fool your guests into believing that it’s homemade. Fresh herbs = homemade = majesty. Trust me, my math is solid. Further proving that taste is subjective, if you didn’t laugh at the “Chicken Noodle Soup” video yet (with a soda on the side), here’s your second chance. And can we comment on the fact that the soda on the side is not the stereotypical orange soda, but the Spanish Harlem favorite, Jarrisco? In “red” flavor, I believe. Apparently, red is a flavor. To serve, put about 1/2 c. of noodles in a bowl. Ladle over the chicken, veggies and hot broth. Top with a smattering of parsley and a couple extra cracks of black pepper. This soup was a part of my collective food memories well before I had even worked behind a stove. Both my Brazilian and Sicilian ancestors believed in the power of chicken and rice soup, so as a kid, if I was feeling punkish, this is what I got. If I was REALLY sick, I had this soup without the veggies and chicken – just broth and either rice or pastina (itty bitty italian pasta as small as grains of rice). 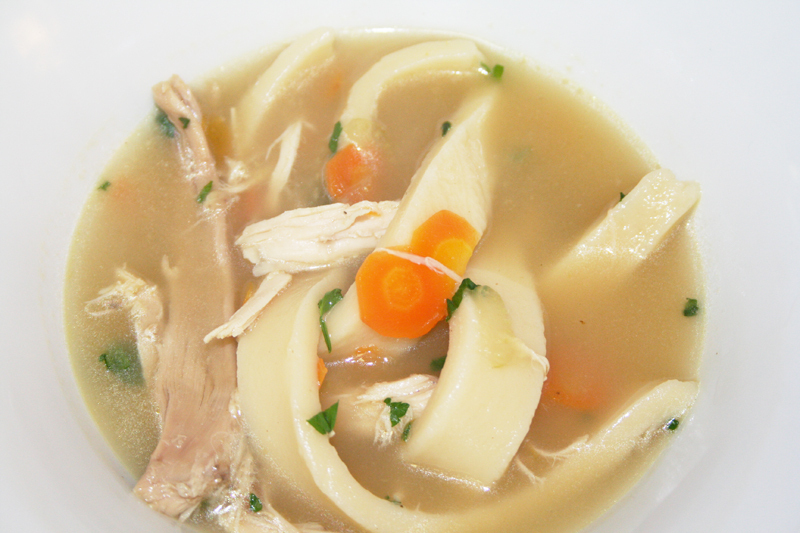 To this day, if I need a comforting meal, I make a pot of this recipe for canja or some Italian Chicken Soup.